C is the letter of the week. We’ll practice letter formation, identify C words and explore our “C” box. 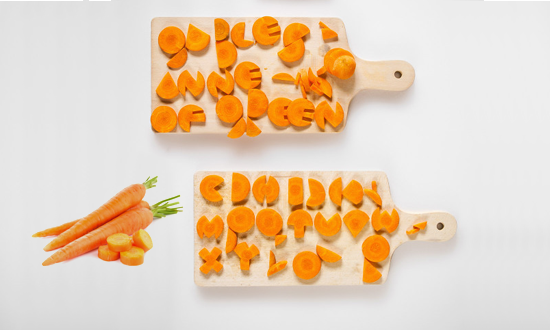 At circle time we’ll use carrots and carrot tops for an alphabet and number ( 1-15 ) identification and review activity. Ask your child about our carrot patch! Each day at circle time we review days of the week, months of the year, seasons and weather. We use our name cards for attendance and identifying names. Look for our “circle cat” and corn on the cob art projects and our “cloud counting ” booklets! With white chalk, food coloring, paper and water we’ll investigate chalk: how it looks and feels and what happens when it gets wet. We’ll watch it change color as we dip it into colored water. This simple experiment encourages sensory, observational and predicting skills. We’ll read Pumpkin Pumpkin by Jeanne Titherington and do a coloring and sequencing activity. This week we will continue to develop our listening skills and our ability to sit still when appropriate. We will try to improve our focus. We will continue to practice taking turns through various games and activities. ENGLISH- We are working on letter ” C” and its sound, naming as many ” C” words as we can. “C” words, color match, shape match, number maths and days of the week , the month and four seasons . Give children small hand mirrors and encourage them to examine their reflections, noting such things as hair colors and styles, eyebrow and eye colors, skin color and nose and mouth shapes. Set out paper, crayons, various colored construction paper scraps and yarn pieces and glue. Ask each child to think of five special things about his or herself. Example: The child could say, “I have blue eyes”, “I can stand on one foot”, etc. 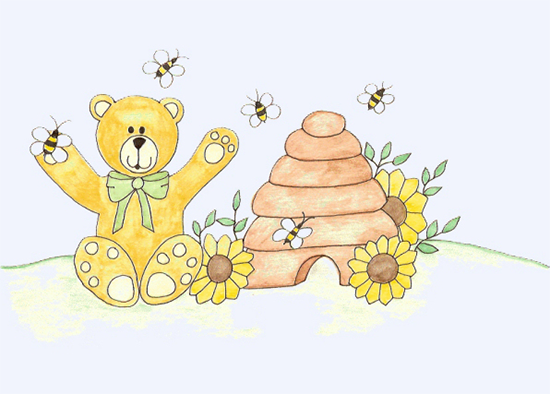 We’ll make Bees and Bears and have a teddy bear (graham crackers) sorting and graphing math activity. We’ll practice writing the letter B and the number 2. We’ll make “name constellations” to help us continue to recognize and spell our own names and those of our friends. We’ll read Owl Babies by Martin Waddell and do two activities with story content to challenge comprehension and math skills. Look for the “wise owl” worksheet which we’ll do together to encourage the children to wait for and follow oral instruction and direction. We’ll play catch with a soft ball decorated with numbers and letters. This activity strengthens gross motor skills and challenges letter and number identification. To develop and strengthen small motor skills we’ll use plastic “tweezers” to pull pompoms from a very stuffed box! The children were very proud of their Alligator and Sunflower projects! This week we will focus on learning to share, take turns and make new friends. They will develops self awareness and social awareness. They will gain insight into who God has created them to be and how they fit into the social environment. We are working on letter “B”and its sound, naming as many “B ” words as we can. ” B” words, color match, shape match, number maths and days of the week. washing hands, hygiene in school. We are getting acquainted and reacquainted! We’re using our name cards at circle time to recognize and learn to spell our own names and our friends’ names. At circle time we are talking about the days of the week, months of the year, weather, seasons and reviewing colors and shapes with hands-on activities. We are also practicing numbers 1-12 ( identification and counting ) and reviewing the alphabet with concentration on letter A these first two weeks of school. We’ll make applesauce and use animal crackers and acorns for sorting and counting activities. I’ll begin workbook and worksheet lessons and I’ll observe and correct ( if necessary ) the childrens’ pencil/crayon grip and strength. We’ll read Eric Carle’s Brown Bear, Brown Bear What Do You See? and do two story-related activities: 1) familiarize the children with spelling their first names and 2) a “book review” that challenges the childrens’ story comprehension and recall skills. We’ll do an apple science experiment and put together night/day and four seasons booklets. This week we will focus on learning to share, say” please” and”thank you”, listen during story time and sit still when appropriate. Each child will become familiar with teachers, peers and school environment. ENGLISH-We are working on letter “A” and its sound, naming as many “A” words as we can. 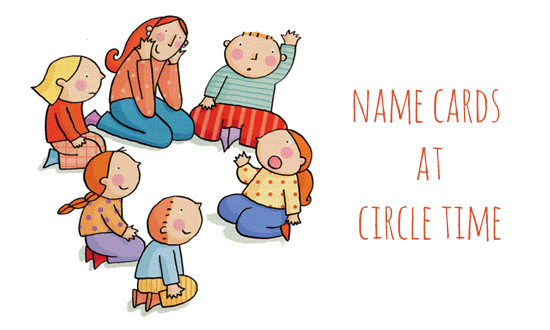 CIRCLE TIME ACTIVITIES-: ” A” words, color match, shape match, number maths and days of the week. We will read at least one story each day, often related to letter A.